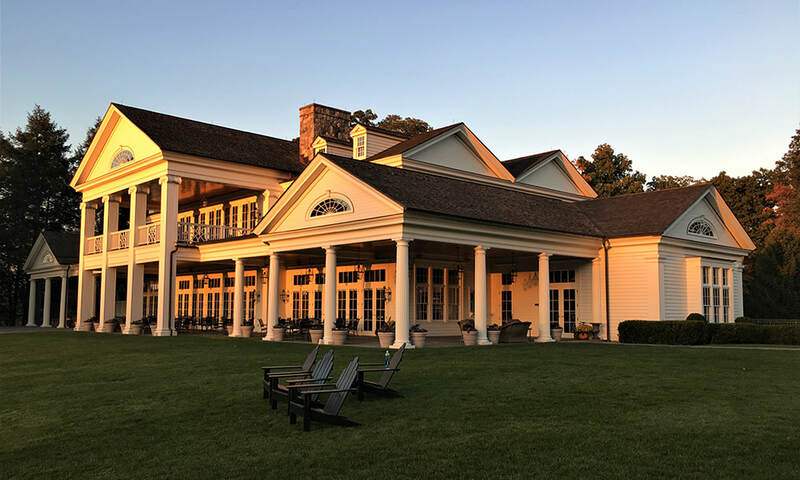 GLENARBOR GOLF CLUB TO HOST THE ANNUAL 2019 GOLF KITCHEN CULINARY EXCELLENCE AWARDS. 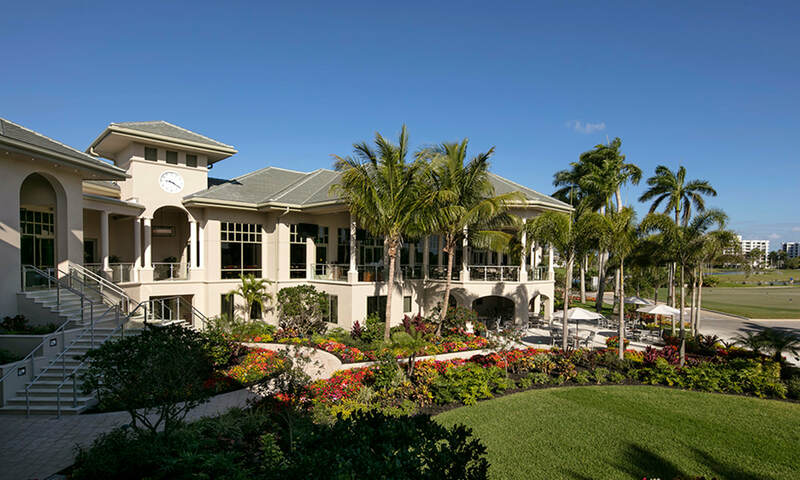 The award-winning, Mark Finlay designed, 33,000 square-feet clubhouse, which overlooks the 1st and 18th fairways. 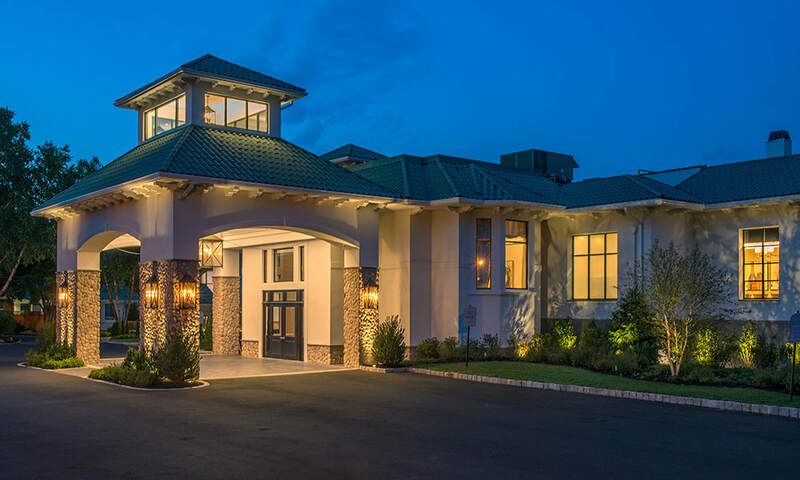 ANNOUNCEMENT - April 15th 2019, Avon, CT: The second annual Golf Kitchen Culinary Excellence Awards will be held at GlenArbor Golf Club, Bedford, New York on August 19th, 2019. Michael Ruggiero, Executive Chef, GlenArbor Golf Club along with Chefs from some of the most prestigious Private Golf and Country Clubs in the USA and abroad will cook up an elite, fine dining feast paired with exceptional wines selected by GlenArbor's esteemed Wine and Beverage Director Fernando Silva for the members and guests of this invitation-only event. "We are honored to partner with GlenArbor Golf Club for this important yearly event in the industry. Illuminating the culinary talent has been my vision for Golf Kitchen since its conception and alongside GlenArbor I envision the awards will continue to develop well into the future,” said Diana DeLucia. 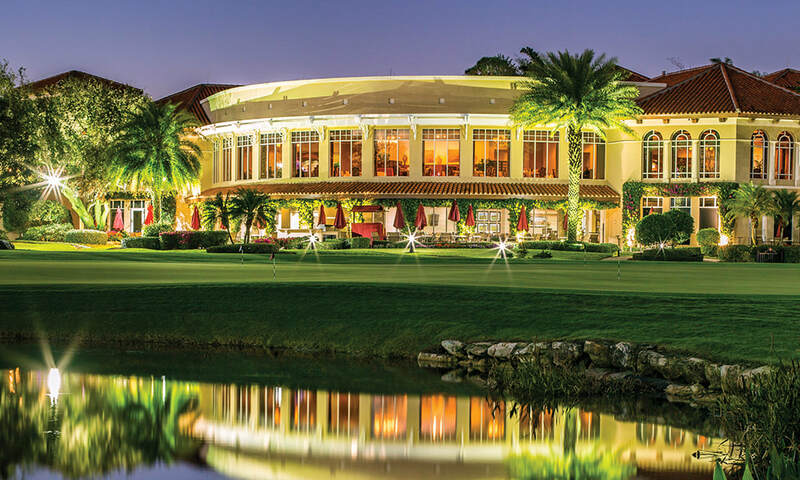 "We are honored to host the “Golf Kitchen Culinary Excellence Awards” that recognize executives at the forefront of providing the highest caliber experience for members and guests. The creativity, attitude, and thinking of club chefs has significantly progressed in the last decade, and we are encouraged at the direction the industry is moving. Diana and Golf Kitchen are at the forefront of this movement, and I applaud the notion that many public and private facilities are finally getting recognized as having some of the best minds and leaders in the culinary industry. It's not often that one team within a club can influence so many human emotions in a single seating.. sight, smell, touch, and taste.. what a gift.." remarked Morgan Gregory, President, GlenArbor Golf Club. 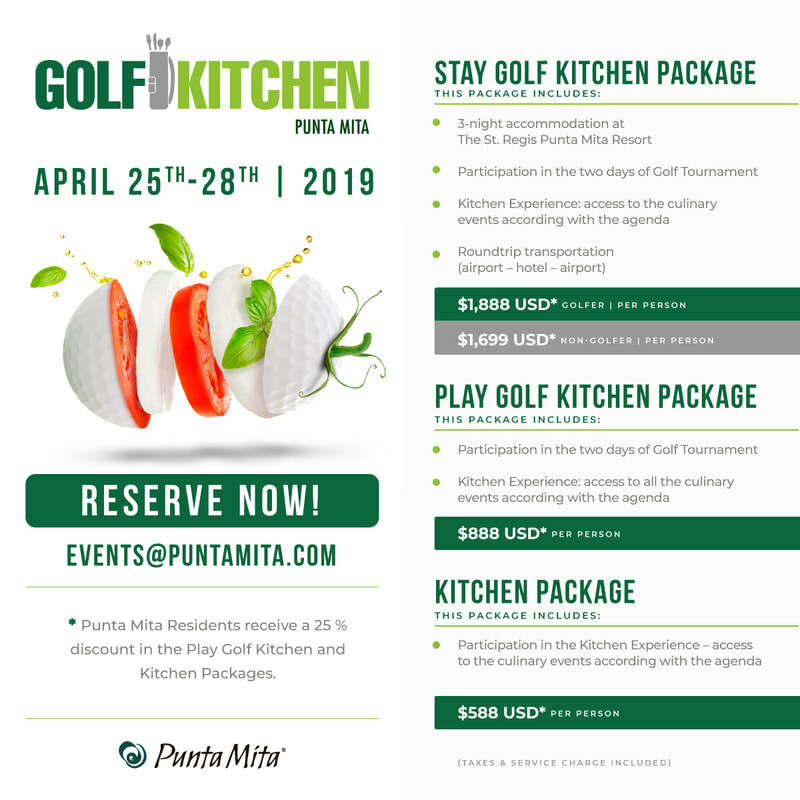 Punta Mita, Mexico – (January 8, 2019) – Punta Mita is set to host the second edition of Golf Kitchen Punta Mita event on April 25-28, 2019. Golf Kitchen Magazine and Punta Mita developer DINE co-host this special four-day, three-night event that blends the best of the region’s destination golf and gastronomic experiences with the help of a crew of visiting chefs from esteemed golf clubs in the US and Latin America. Dining takes place in some of Punta Mita’s most beautiful settings including the Four Seasons Resort Punta Mita and St. Regis Punta Mita Resort. Click here for the event’s full culinary agenda. Golf fanatics will enjoy the event’s two-day Golf Kitchen Cup that plays out over Punta Mita’s two Jack Nicklaus Signature Golf Courses – Bahia and Pacifico. The cup event kicks off with a Four-Hole Chef Cup Shootout where seven guest chefs escape the kitchen to show off their skills on the links. 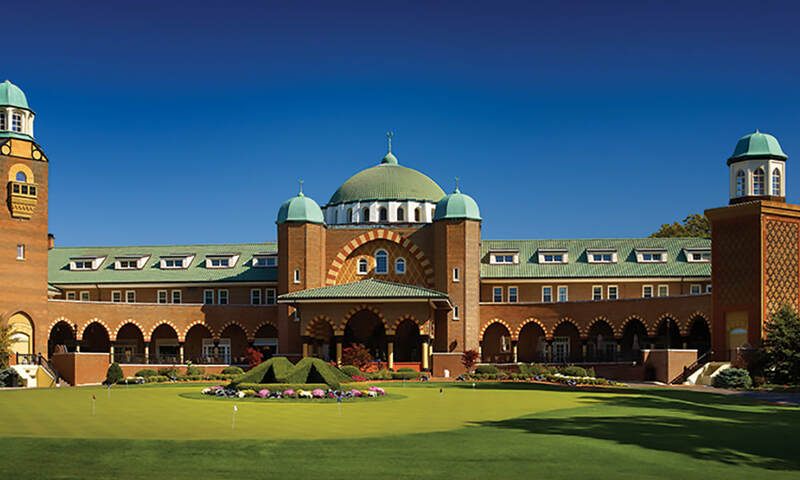 Click here for the event’s full golf agenda. The event wraps at Kupuri Beach Club with a delicious gala featuring a dine-around tasting pool party with a silent and live auction to raise funds for local charities Peace and The Fundación Punta de Mita. For reservations, please contact events@puntamita.com. For more event information, visit golfkitchenpuntamita.com. Here’s an article that features the inaugural event in 2018. Punta Mita is an ultra-luxurious, 1,500-acre resort and residential community situated in the Riviera Nayarit, north of Puerto Vallarta. It lies on a private spear-shaped peninsula surrounded by white sand beaches, Pacific Ocean waters and lush tropical flora. 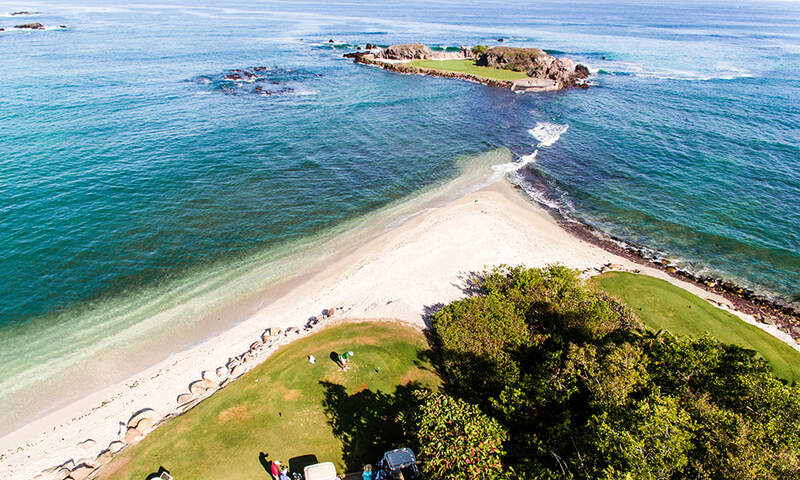 Punta Mita is home to private villas and residences, two Five-Diamond rated Resorts: The St. Regis Punta Mita Resort and Four Seasons Resort Punta Mita, a Tennis Center, four Resident’s Beach Clubs, and two Jack Nicklaus Signature Championship Golf Courses. Pacifico Golf Course is best known for its famous island green, “The Tail of the Whale,” the world’s only natural ocean island green. The Bahia Golf Course in Punta Mita offers more slopes around the greens and heavy contours to create more movement on the fairways and greens. For more information, please visit www.puntamita.com. DINE, Mexico’s premier real estate development company, is the owner and developer of Punta Mita. DINE’s portfolio includes commercial, residential and master planned communities throughout Mexico. 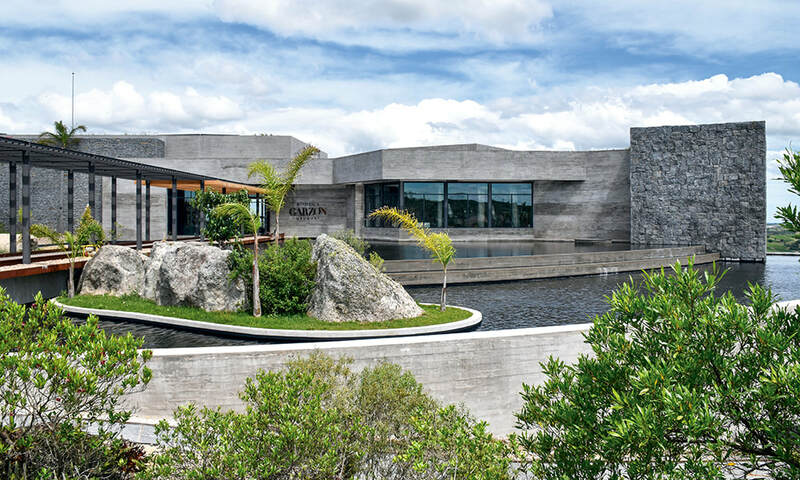 DINE was founded in 1978 to serve the specific needs of the highest income sectors in Mexico, establishing unprecedented design quality in residential, commercial, leisure and corporate real estate development. For more information, visit www.dine.com.mx. GOLF KITCHEN ANNOUNCES FIRST eight KITCHENS IN "GOLF KITCHEN AMERICAS" BOOK TWO IN THE GOLF KITCHEN SERIES FEATURING INTERVIEWS, RECIPES AND FULL COLOR PHOTOGRAPHY OF SOME OF THE FINEST PRIVATE GOLF CLUBS, COUNTRY CLUBS AND RESORTS IN THE AMERICAS. Featuring Exclusive Interviews with CEO Michael McCarthy, Executive Chef Zach Bell, and Executive Pastry Chef Dana Iannelli,, recipes, full-color photography and more. Featuring Exclusive Interviews with CEO Matt Linderman, Jay DiPietro (former CEO and Consultant), Executive Chef Roger Brock, recipes, full-color photography and more. Featuring Exclusive Interviews with Owners Bruce Schonbraun and Eric Witmondt and Executive Chef Anthony Villanueva, plus recipes, full-color photography and more. Featuring Exclusive Interviews with COO Nicholas Kovalenko, General Manager of the Bodedga Garzón Christian Wylie, Ambassador Francis Mallman and Executive Chef Ricki Motta, with recipes, full-color photography and more. Featuring Exclusive Interviews with Managing Director Morgan Gregory, Executive Chef Michael Ruggiero and Sommerlier Fernando Sylva with recipes, full-color photography and more. Featuring Exclusive Interviews with General Manager Greg Brown and Executive Chef Scott Pikey, Wine & Beverage Director Jeff with recipes, full-color photography and more. Featuring Exclusive Interviews with COO and General Manager Robert A. Serici and Exectuvie Chef Michael Ponzio with recipes, full color photography and more. Featuring Exclusive Interviews with COO Carl Emberson and Executive Chef Pato Persico with recipes, full-color photography and more. I have been a professional food photographer for over 15 years and have photographed the plates of Eric Ripert, Thomas Keller, Charlie Trotter, Joel Robuchon, Jean-Georges Vongerichten, Anthony Bourdain, Alain Ducasse, and many more world class restaurant chefs. Most of them are now hugely successful entrepreneurs and celebrities. This elite group has always understood the importance of excellent food photography. Why spend all your time creating gorgeous recipes for your menu only to ruin them with less than flattering food photographs? I remember when the first iPhone was released, and the cell phone photography was so unflattering that some restaurants banned their use! Of course, that has changed now, and thankfully some cell phone photographers are getting much better than the early days, still ugly food shots convey the wrong image of your food and are a turn off to many potential diners. 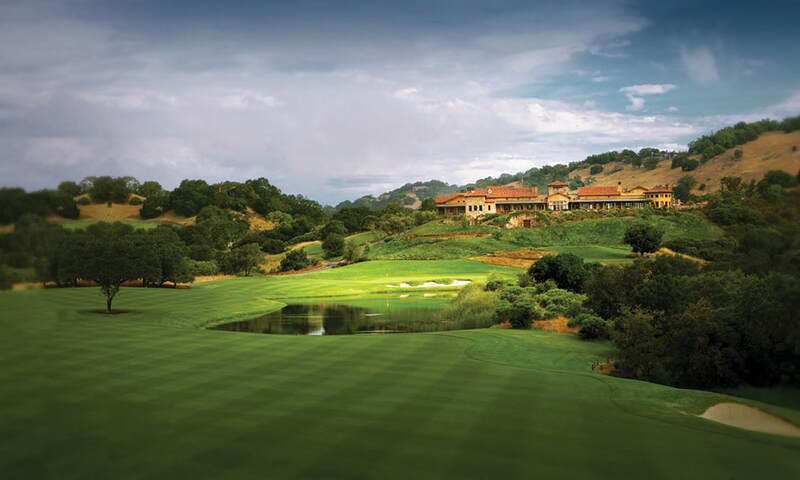 When I entered the private golf industry, I quickly realized there was a great need for high-quality food photography whether the golf club, country club or resort was serving hamburgers or haute cuisine. Why spend thousands on your golf course photography, clubhouse, interiors, and exteriors and skip the kitchen? Food should never be an afterthought. ​When I look for a club to feature in my books or Golf Kitchen magazine the website is the first place I visit. I can usually tell if the club values the culinary side as they will highlight and compliment their chef, culinary team and services, often displaying the menus and excellent food imagery. However, the website is not the only place a club needs high-quality food photography; there are many places. Food photography draws attention everywhere from social media, newsletters, advertising, magazine and news stories, club banners, posters and more. How to find a great food photographer. ​Food photography is an art form and challenging to learn; more often it is an inborn skill. The golf course photographer is likely not a skilled food photographer and vice versa. I have never been hired to shoot a golf course, while I might be able to take good enough landscapes, I am by no means a golf course photographer as I do not know the game or what golfers are looking for in a great image. I leave that up to specialized golf photographers like Larry Lambrecht, Jacob Sjöman and Evan Schiller. Look for photographers that specialize in food photography and do your homework. Find out if their clients are happy with their services, word of mouth is essential. Local does not always mean better, hire for talent every time. 5 reasons to hire a skilled food photographer to support your culinary team. 1. Members of upscale private clubs can eat wherever they want. Their palates are advanced. When you produce low-quality food imagery that can be enough for them to go off property to eat, or worse, join a club that values the food and beverage department as much the golf and other facilities.2. Younger golfers demand higher quality cuisine this means that you need to hire Executive Chefs and other culinary team players who match this demand to attract more members to the club, and you will need to support your team by showing off their work with great food photography. Don't forget desserts! 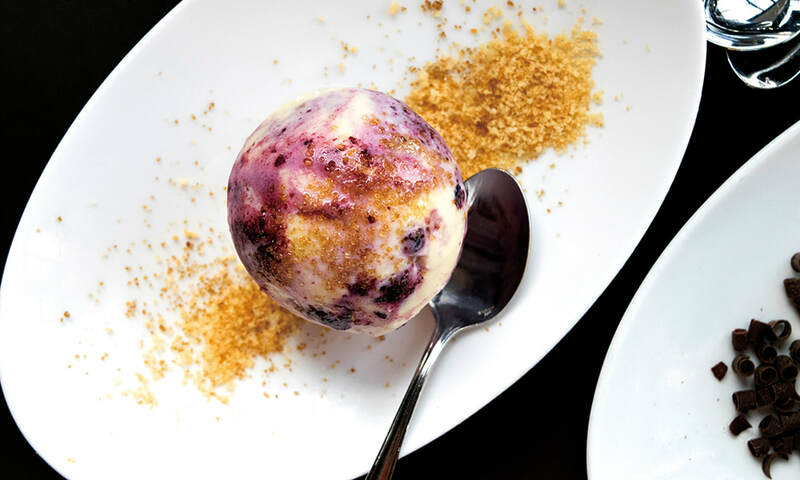 This Huckleberry Pie Gelato recipe by Lauren Yerrick, former Executive Pastry Chef at Kiawah Island Club, was carefully created. Photo by Diana DeLucia. ​3. My first impression as a non-golfer was how do clubs attract new members, especially the ones who have never played golf? Golfers already play so there is no point preaching to the choir; you need other avenues to get potential new members to the club. Food is one of them. More reason to hire a talented food photographer. 4. Food is a conversation topic. The last thing you want as a private golf or country club is to have members, guests, and media trashing the club's choice of cuisine. Poor food photography can be a bad choice as it shows lack of attention to the food and beverage department. 5. Hiring a reputable food photographer has many other perks, savvy food photographers are very good at marketing, you will likely have your club featured in their marketing and online social media campaigns as well as your own at no extra cost. ​Give your mixologist some publicity. 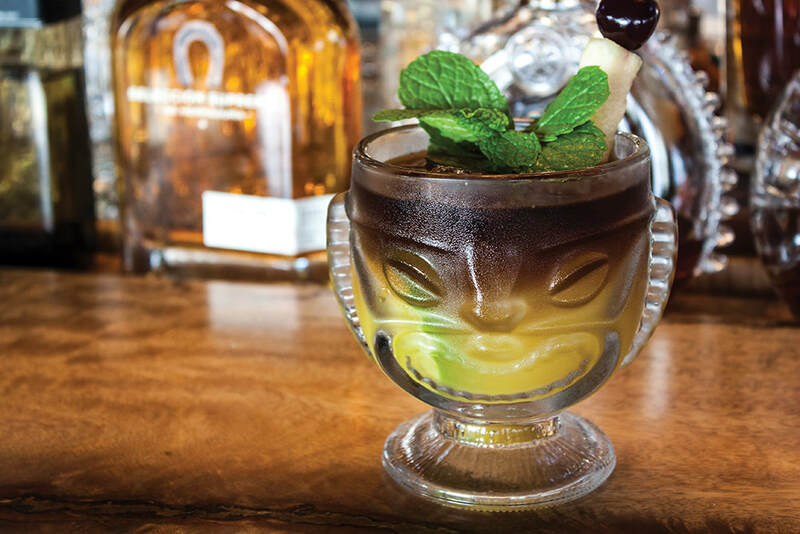 This Kohanaiki Mai Tai created by Clara Kelly, Mixologist at Kohanaiki shouts Hawaii! Photo by Diana DeLucia. About the Author: Diana DeLucia is Founder and Editor in Chief of Golf Kitchen Magazine and Golf Kitchen cookbooks. She began her culinary photography career in New York when she photographed for Restaurant Insider Magazine. DeLucia's work was recognized by industry leaders, and she became the food photographer of choice by many. 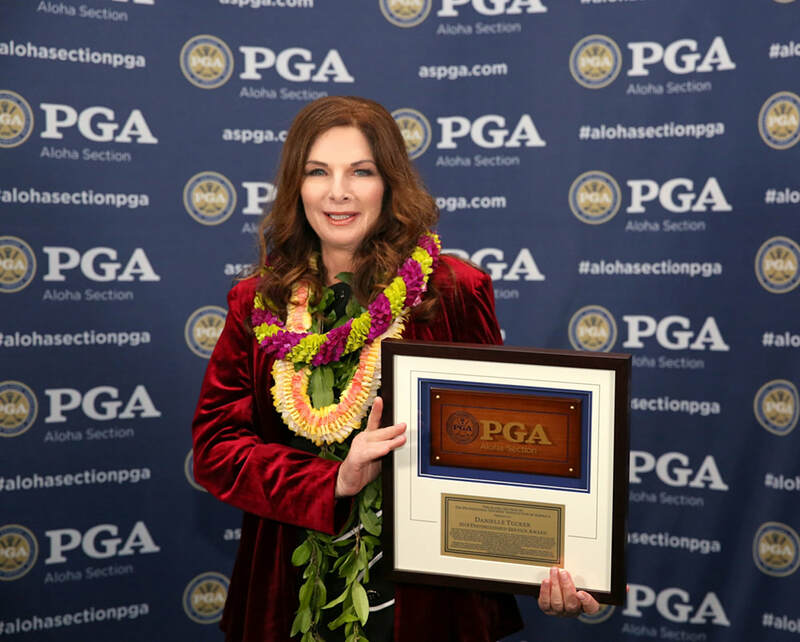 Diana discovered the private golf and country club industry in 2010 and created an entire business surrounding the culinary talent in the industry.